Selfishness within a relationship can cause much misery. Too often one focuses upon their own feelings, needs and desires, placing little importance upon that of their partner. Selfishness can cause one to neglect both the physical, emotional and financial needs of their partner. It can be extremely upsetting and hurtful when someone receives a lack of concern, care and love from the other partner. 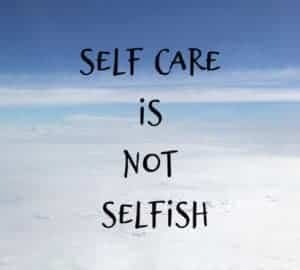 Selfishness in a relationship exists when either partner is too overly concerned with their own physical and emotional needs, resulting in little focus and thought for the other partner. A Selfish Shark can negatively dominate a partnership by burdening the relationship with unrealistic and unfair expectations. This might include not being present, going out all the time and leaving the partner on his or her own. Such neglect can also take place within the home, when one refuses to talk to and communicate with their partner. Of course there are times within a relationship when one has had a bad day or an argument leads to the need for ‘time out’, however when one partner refuses to talk and completely ignores the other, giving “the silent treatment”, there is a serious problem. At this point a partner will experience significant amounts of frustration and hurt and may possibly feel like a flatmate or lodger in their own home rather than a partner in a supposedly loving relationship. A selfish partner may take control of finances and money, making life difficult for their partner and even children at times. 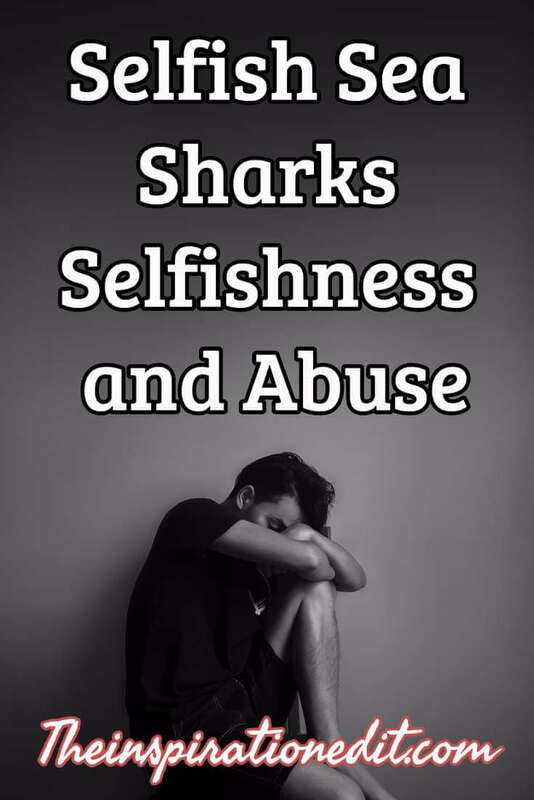 The Selfish Shark is well known for using economic abuse to meets their own needs, often leaving their partner with little if any money as well as their children. The Selfish shark may lie about how much they earn, prevent their partner from working or force their partner to work and refuse to contribute. Furthermore they may place their family or partner into debt or use the couple’s money for gambling, drinking and drugs. When money is controlled in a way that onepartner has no say, is placed in debt or is forced to struggle, this is indeed unfair, unhealthy and abusive of the relationship. 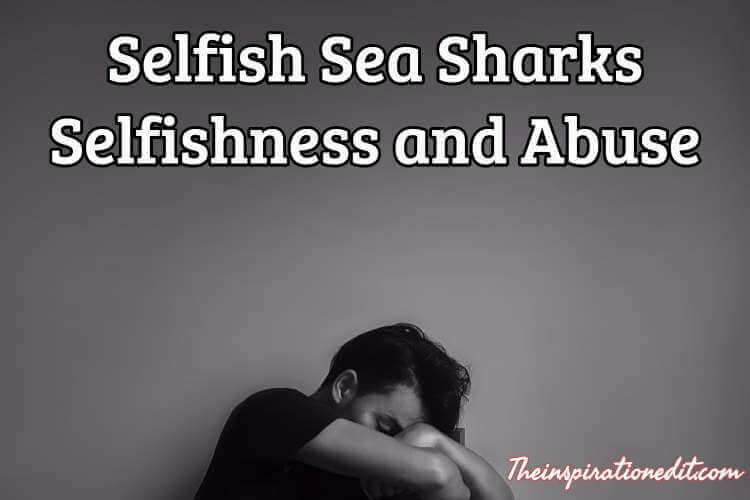 The Selfish Shark can be incredibly selfish when it comes to their partner’s physical needs. They may have unrealistic and illogical expectations requiring their partner to meet their physical needs and desires, while at the same time refusing to meet the needs of their partner. This can be the case for any relationship, married or not. Partners should be emotionally available to one another to be equally yoked and healthy. ”Selfishness so often is the basis of money problems, which are very serious and real factor affecting the stability of family life. Selfishness is at the root of adultery, the breaking of solemn and sacred covenants to satisfy lust. Selfishness is the antithesis of love. It is a cankering expression of greed. It destroys self- discipline. It obliterates loyalty. It tears up sacred covenants. It afflicts both men and women. Selfishness is the great destroyer of happy family life”, Gordon B Hinckley, Standing for something. So what are the early warning signs of selfishness at the start of a relationship? The early warning signs of a Selfish Shark can be seen in conversation. For example when you tell a story or share some news, the other person may immediately have to talk about themselves to make them sound better. Instead of enjoying a conversation, they may turn everything around so everything is about them. They won’t listen to your opinions and feelings and may stop you in your tracks. A selfish date, boyfriend or girlfriend will not consider your needs and wants, when it comes to physical intimacy. You may have stated what you will and will not do, however the selfish partner may continue to push you to go a little further or be more physical with them than what you want to be. They may use emotional blackmail or guilt trips to get you to give in, by saying things like, ”If you love me, you’ll do what I ask”. Also, ”My last girlfriend did that, you must not care about me as much as she did and if you don’t do this with me, I’ll go and tell everyone how frigid you are”. Such a person does not respect or love you. When someone really loves you they will consider your feelings and needs and won’t push you to do things you are uncomfortable with. A person who cheats on you early on in a relationship is not worthy of your love, such selfish behaviour is unacceptable and a bright red flashing light to get out while you can. 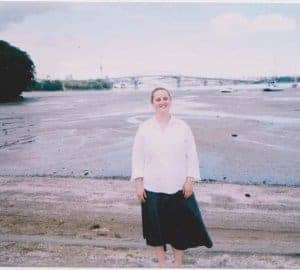 Another way in which one may recognise potential selfishness at the start of a relationship is when one partner wants to make all the decisions. They want things to be done their way and do not care how anyone else, including their other half feel. For example someone who may decide and plan every date without asking the partner what he or she would like to do. Likewise when someone expects the other person to pay for everything, they are being incredibly selfish. 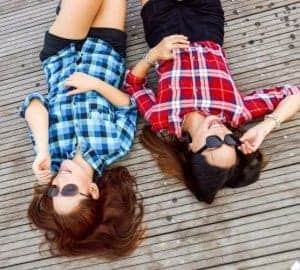 While it may be traditional for the male to pay for dates, when either partner never offers to pay their half, it becomes expected and one clearly takes advantage of this fact, this can be a warning sign of things to come.